1. What is ActiveTradingPartners (ATP) service? The ATP advisory service is based on the proprietary combination of “MRM” entry and exit methodology combined with crowd behavioral patterns. We work with small to mid cap liquid stocks and essentially buy pullback patterns right at the pivot point where we see an upside reversal coming. We combine both fundamental research along with our MRM and Elliott Wave based timing systems to pick the right stocks, but also at the right time and entry and exit points. MRM stands for Mathematical Regression Modeling and was developed by us during the 2008-09 market period using ETF’s. He has since adapted this system for individual stocks and for the partners who learn and follow our methods in real time with buy and sell alerts. While many other traders and investors are buying near the tops or selling right near the bottoms, our MRM system forces you to do the exact opposite and then profit. We know of no other service that applies this theory to trading with the consistency that we do. We combine both fundamental research along with our MRM and Elliott Wave based timing systems to pick the right stocks, but also at the right time and entry and exit points. MRM stands for Mathematical Regression Modeling we developed during the 2008-09 market period using ETF’s. He has since adapted this system for individual stocks and for the partners who learn and follow our methods in real time with buy and sell alerts. While many other traders and investors are buying near the tops or selling right near the bottoms, our MRM system forces you to do the exact opposite and then profit. We know of no other service that applies this theory to trading with the consistency that we do. This service was designed from the ground up to help individual traders who want to focus on consistent, accurate and profitable trades on a weekly basis with the average “Scale in buy period” of 2-3 days per Investment Alert. The average hold period is days to weeks, and sometimes even months. We recommend a “Trim and Plant” strategy, where you trim your winners slowly and plant the money into a new position. The important thing is we try to identify low-risk entries, with good short to intermediate upside. Our focus is on risk reduction first, and upside second. Protecting capital is very important in order to have long-term profits. 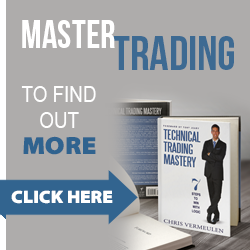 With over 30 years of combined trading experience, this strategy has been refined to generate very high success rate. We try to limit downside risk to 2-8% on every recommendation. 2. How does this MRM Buy Low and Sell High System Work? The Momentum Reversal Model that Active Trading Partners research allows our partners to attempt to enter low and exit higher. What ATP research has pioneered literally turns most of the common trading methodologies upside down. A combination of physics and human behavioral patterns can present the swing trader or investor entries in stocks to buy at opportune lower risk points and exit at higher levels. Traders as a rule tend to repeat the same chase a stock up and sell it down patterns over and over again, and the MRM method actually works to identify the crucial pivot lows and pivot highs to attempt to profit from the swings. Most investors panic out of a falling stock at just the wrong time, and chase a rising stock right at or near the peak. The MRM system actually works to take advantage of this crowd behavior and we provide research on a position where we think its near the low and then attempt to exit near the swing highs. 3. How will you make sure to limit the number of people receiving the Investment Alerts so as not to cause a problem with trading volumes and risk/return levels? We have software that constantly tracks and reports when and where our Partners log in to the site. This allows us to determine if a username and password is being used on more than one computer simultaneously. If we discover this is the case, we reserve the right to terminate that partner permanently from our service. Sharing trades with unauthorized users will only make the service less effective for our partners, and this would force us to close the service and take it back private for just a few people. Please respect the needs of others who are paying members. 4. How do you provide the trading signals? 5. Do you trade our money for us? Sorry, We do not manage client’s money, or give any one-on-one individual advice. 6. Are the membership payments reoccurring? Yes, all of the memberships are reoccurring for your convenience. All memberships can be canceled by simply sending me an email, or you can cancel through Paypal. 7. Do you sell clients email address and other personal information? No, We do not share your personal information with other individuals, sites, or services. Once in a while I may send some useful information from a related service or product, but only if we think it will be of use to you. 1. What type of stocks do you focus on? At ATP we believe small to mid –cap stocks offer the most potential to take advantage of investor behaviors and often lack of information which creates price discrepancies. A combination of researching recent IPO’s and or little followed small caps, along with our MRM timing system gives us a major edge. Small and Mid Cap stocks often move very quickly and we can take advantage of volatility for profits. We make sure to look at stocks that are liquid to trade, and/or that we believe are on the cusp of major swarms of new volume and investor interest. 2. How many trades or alerts per week do you have? How do you alert them? Our MRM timing model and market patterns (Bull Trend or Bear Trend as defined by our TMTF Service) will dictate the level of activity. In general, though, between trimming back on positions, adding on dips to existing positions, or initiating new positions you can see anywhere from 2-10 action alerts in a week. These will be delivered in real time via Email and Post to our website both. We also use a SMS Text alert system in the next month. 3. Do you own the stocks or funds which you send alerts for? 1. What is a Leveraged ETF or 3X ETF? Exchange Traded Funds trade like an individual stock, but are usually based on an Index or Sector. You get significant diversification unlike with a single stock, and you essentially are trading a basket of stocks or an index all at once with one ETF. A Leveraged ETF or what we call “3X ETF” simply takes that concept one step further. You can obtain 300% leverage to a sector or index either as a bullish or bearish bet. If the Underlying sector or index moves up 1%, your ETF will move up 3% and vice versa. Example: NUGT ETF: This ETF is a basket of GOLD STOCKS loosely based on the GDX ETF. If the GDX ETF moves up 1%, then NUGT will move up 3%. However, should the GDX ETF retrace 1%, then the NUGT ETF will drop 3%. Therefore, it’s essential to have a good grip on when to enter and exit these 3X ETF’s to avoid major losses. 2. What is the difference between a Bullish ETF or a Bearish ETF? A bullish 3x ETF profits if the underlying ETF or Index goes up. A Bearish ETF also profits if the underlying index goes down in value. Let’s say you thought the Energy Stocks were going to go down. You could trade the 3x Bear ETF that would create a profit for you if the energy stock index drops. If you think the Energy Index is going to go up, then you would trade the Bullish 3x ETF representing that index. A few samples are NUGT and DUST for Gold Stocks (Bull and Bear); TNA and TZA for Small Cap Stock Index and so forth. 3. What is the advantage to swing trading 3x ETF’s vs. Regular ETF’s or Stocks? The advantages are that if traded correctly, you can project a rally or decline in many indexes or sectors and profit from that projection. A single stock has more risk of news events, earnings misses, and risks beyond your control to project. An ETF is a basket of stocks which greatly reduces single stock risk. If you get a 2% move in a sector or Index and you enter a 3X ETF correctly, you can obtain a 6% profit. A regular ETF only gives you 1x leverage, so a 2% move is a 2% move. With the 3X ETF you can turn that 2% move into a 6% move in your favor. 4. How does ATP service have the ability to time the entries and exits on 3X ETFs? We are well known for his market forecasting and trading abilities. In 2008-09 we spent many months of real time 3x ETF trade analysis to determine how they behave, when the best time is to enter, and also how to exit properly. We discovered that his human behavioral based trading system is ideally suited to 3X ETF trades due to the rapid swings they can incur both up and down, mostly due to sentiment swings and crowd behavior. With that in mind, we put together common traits of 3X ETF rallies and declines, and we now use those to spot our opportunities for ATP members. It is not uncommon to see a 7-12% gain on an 3X ETF trade within 1-3 days, and therefore we find this method of trading to be very powerful when executed correctly. 5. How will the 3X ETF Trades be Alerted to subscribers? Just like with our Stock Swing Trades, we send an E-mail alert in real time with instructions and also post the same information to the private website for subscribers. SMS Text alerts will be available shortly. We give the maximum entry price, the general range to buy in over 24 hours, and also set a stop price as well. We then continue with E-mail updates as needed, stop adjustments, and profit taking-sell alerts in real time. 6. What is your track record on these trades? We have averaged 7 winners and 3 losers historically out of 10 trade alerts. A skilled swing trader can actually make money hitting only 3 out of 10 trades if he knows how to control risk on the losers. We have seen that hitting 7 out of 10 gives us a huge advantage in that we control the losses on our losing positions, and extract maximum gains from our winning positions. Recently we traded NUGT ETF in three different times in 30 days. We earned 5%, 12%, and 12% on the three different trades all within a few days of holding period. $20,000 into each 3x ETF trade would have resulted in $5,300 in gains within that 30 day period. The annualized return on that type of leverage is off the charts. 7. How many 3X ETF Trades do you alert? It depends on the volatility of the market at the time. We aim for anywhere from 4-10 per month. We do not go for quantity over quality as we have learned from experience it is better to wait patiently for the behavioral based oversold pattern we look for to alert a 3X ETF trade. There are weeks where we may have 2-4 3X ETF Trades, and then weeks where we have only 1 or none. Recently we went 10 days without a 3X ETF set up, and then we pounded on NUGT at 10.40 and sold it the next day at 11.70 for a 12.3% gain. In this case, a 12% gain is more than some people will make all year long. 8. Do you have samples of these 3X ETF Trades?